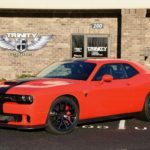 At Trinity Motorsports, we take design and engineering serious. 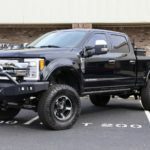 Hunter Engineering sets the industry standard for design of automotive service equipment. 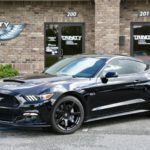 Hunter’s drive to be the best makes it the perfect choice for a premier shop like Trinity Motorsports. 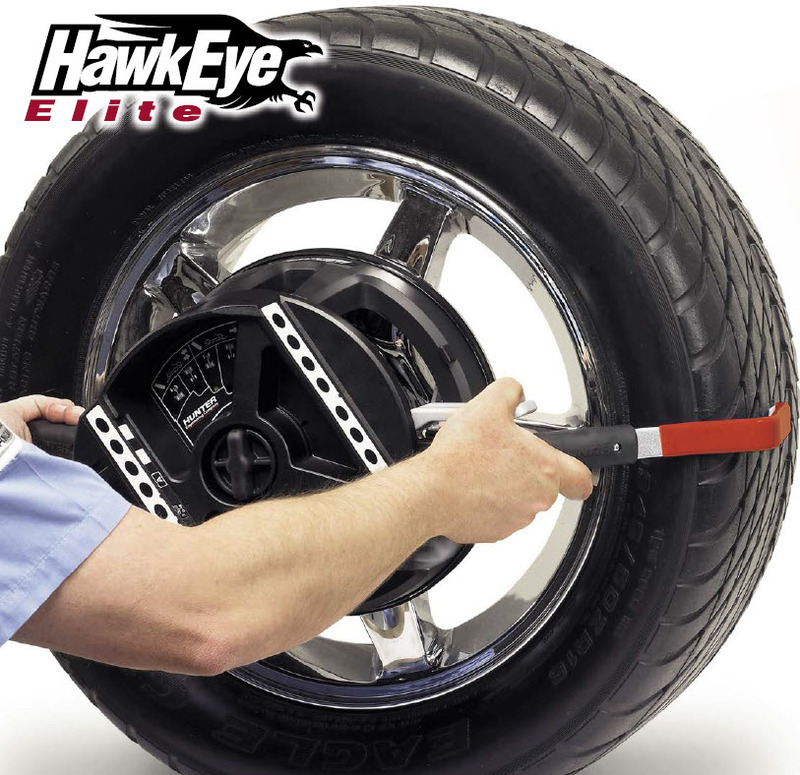 With a combination of Hunter’s lever-less center mount changer, state-of-the-art Road Force balancer, and the technologically advanced HawkEye Elite camera alignment, we can provide each customer with the quality and precision they deserve. Rest assured with your investment and don’t settle for less, we didn’t. 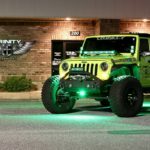 Trinity Motorsports’ attention starts with mounting and dismounting. 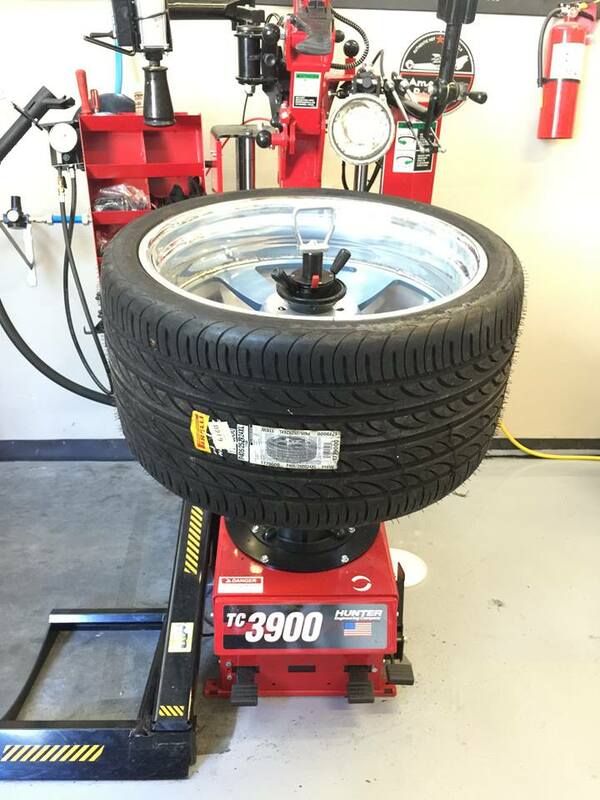 Our center-clamp tire mounting machine features a leverless head and lift for careful handling of expensive wheels. 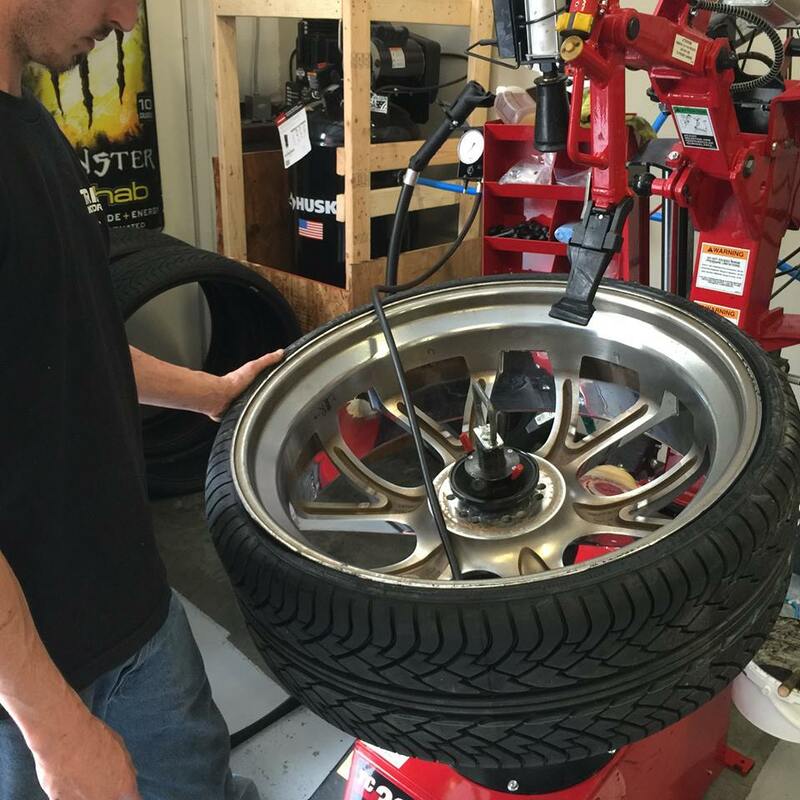 The machine specializes in preventing tire and wheel damage. 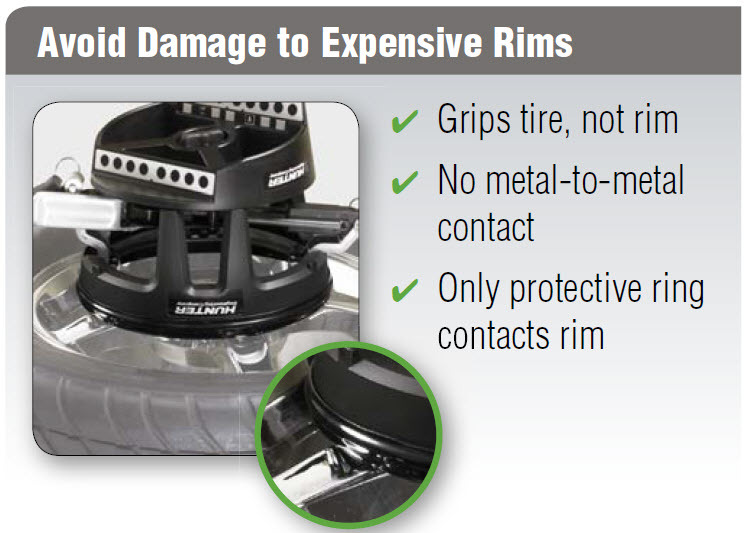 Don’t let common rim clamp machines (designed for speed) risk your investment. 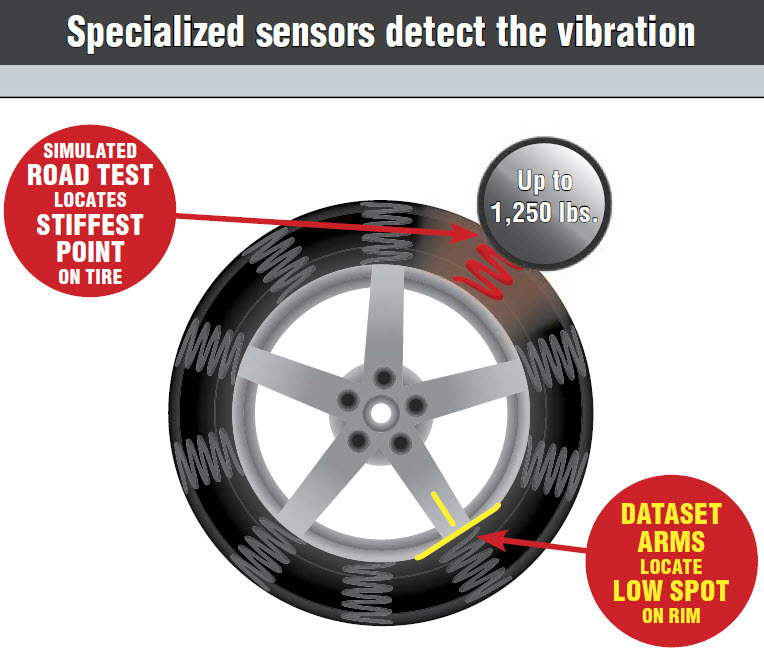 Road Force can be used to solve uniformity related tire and wheel vibrations. 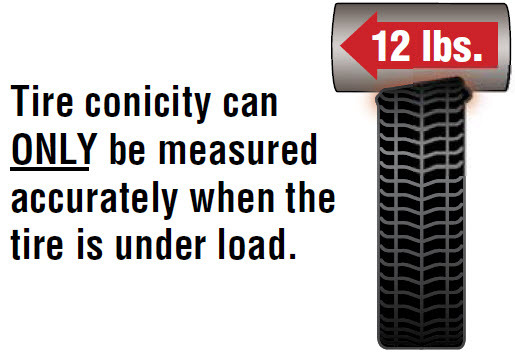 Tire/wheel assembly uniformity can only be measured under load. The load roller on our GSP9700 performs a computer simulated “road test”. 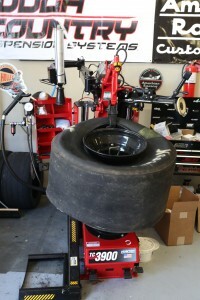 It measures the tire/wheel assembly to determine how “round” the assembly is when rolling under a load. 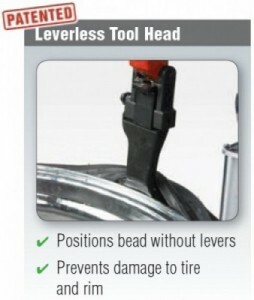 If a tire were not exposed to the road surface, then balance would be more than sufficient. 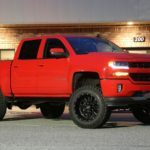 However, not all tires roll round under a load. 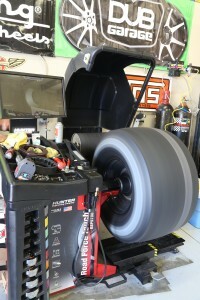 For example, an egg-shaped tire/wheel assembly can be balanced about its axis, but an egg-shaped tire-wheel loaded against a surface would not give a smooth ride. 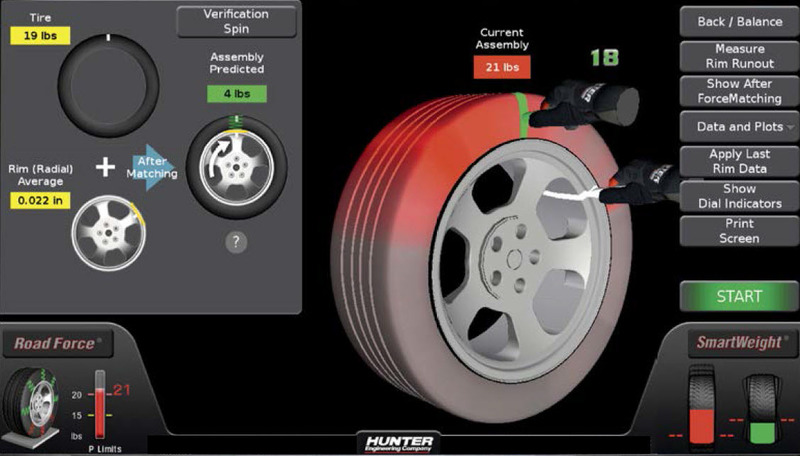 Our Hunter HawkEye Elite Alignment System features a high resolution camera system to ensure accuracy not available from other methods. 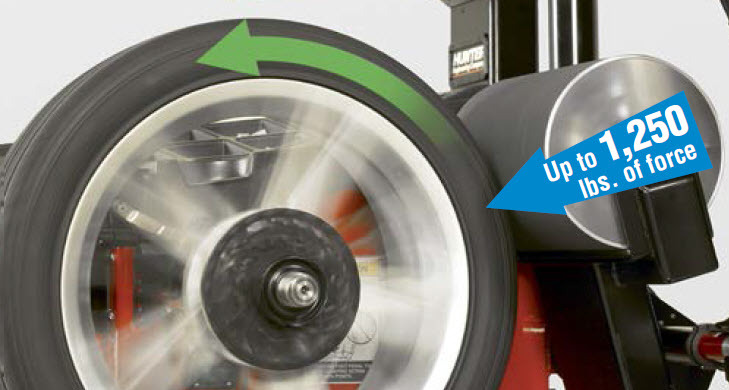 The Elite wheel adapters grab the tire, avoiding damage to expensive wheels by eliminating metal-to-metal contact. 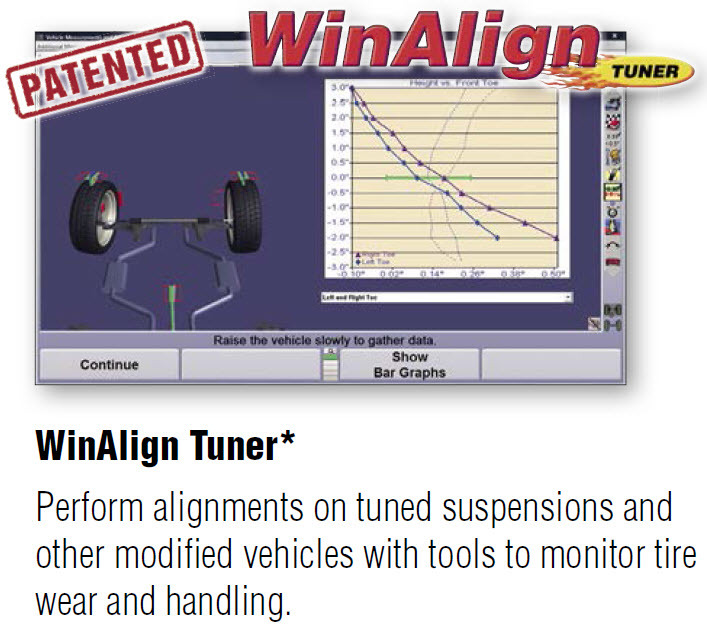 Our software package features WinAlign Tuner, designed to perform custom alignments for tuned suspensions, modified vehicles, and altered ride heights. The new last step in alignment service. 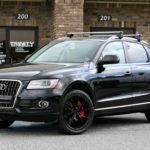 Many vehicles on the road today require a recalibration of the steering angle sensor (SAS) following a wheel alignment, as instructed by the vehicles manufacturer, on certain cars equipped with Electronic Steering Control (ESC). 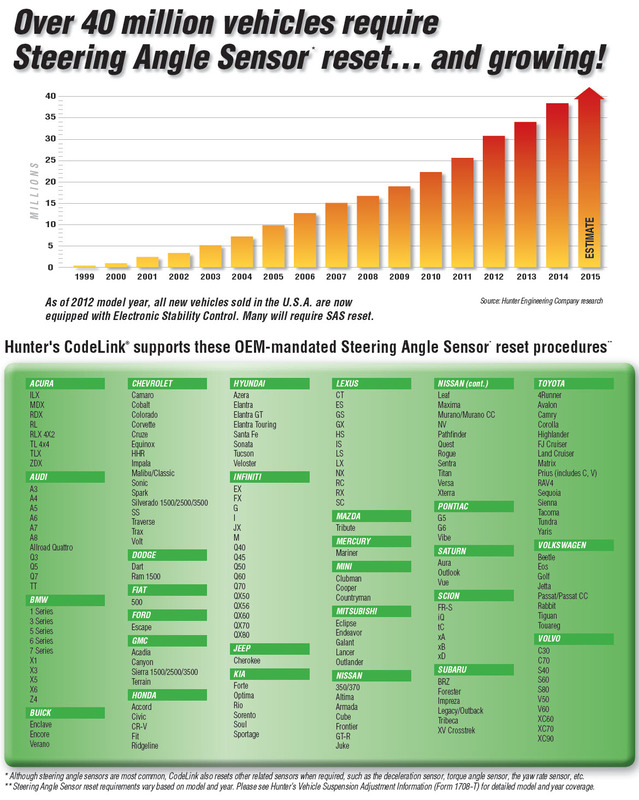 CodeLink’s patented integration links the vehicle OBD-II system to the aligner to measure SAS position and reset the sensor referenced to the vehicle’s alignment geometry.